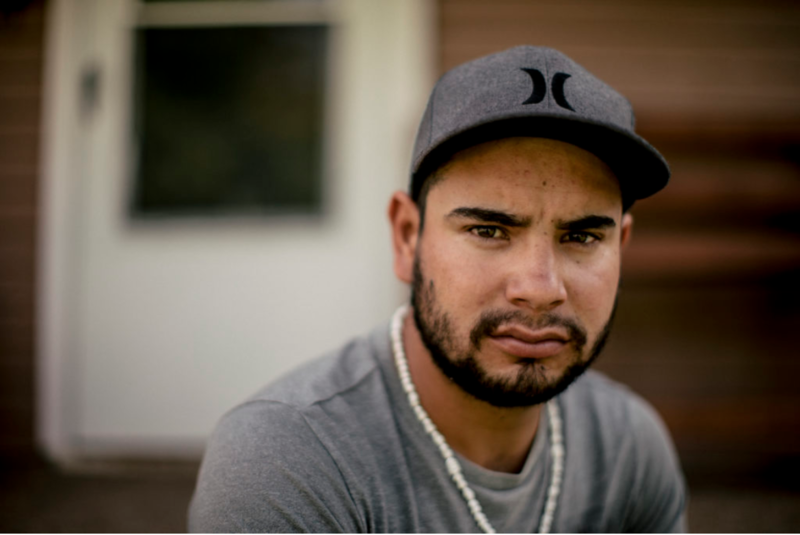 Just shy of his third year in the United States, 24-year-old oil pipeline worker Diego Navarro said goodbye to his California friends. It was early April, and the Oklahoma resident was anxious to return home, having used a break in his work schedule to make the trip west. Navarro, who entered the U.S. without documentation in 2014, typically worked 10- to 14-hour days as part of the country’s petroleum processing machine. But at a stop for gas during the drive back with a friend, Navarro was swept up in the billion-dollar business of private immigrant detention instead. Navarro remembers pulling up to the station outside Albuquerque, New Mexico, and walking into the bathroom. By the time he walked out, U.S. Immigration and Customs Enforcement agents had surrounded his friend. More agents appeared and approached Navarro, asking both young men for their IDs and accusing them of trafficking drugs. ICE officials did not address repeated questions about the incident. But Navarro’s immigration court records show that after searching the vehicle and finding nothing, the agents arrested the men, alleging they were in the country without authorization. Like thousands of immigrants detained since the start of the year, Navarro soon found himself locked up inside a complex run by CoreCivic, the country’s second-largest for-profit prison contractor with 84 correctional properties, according to the company’s most recent quarterly earnings report. From federal and state prisons to county jails and community-based halfway houses, CoreCivic’s facilities run the gamut of American incarceration. Business with ICE exploded for the company – formerly known as the Corrections Corporation of America – in 2014, when there was a surge in Central American asylum seekers arriving at the border. CoreCivic’s percentage of total revenue from ICE more than doubled in the two years that followed, rising from 13 percent in 2014 to 28 percent in 2016, U.S. Securities and Exchange Commission filings show. Stock prices soared after the election of Donald Trump, who vowed during his presidential campaign to deport the entire estimated population of 11 million immigrants without authorization to be in the U.S.
ICE is the primary source of contracts for the private prison giant, whose CEO, Damon Hininger, recently highlighted ramped-up immigration enforcement in the interior of the country under Trump as a harbinger of new demand. In October 2016, CoreCivic landed one ICE deal in New Mexico by repurposing a federal prison, the 1,129-bed Cibola County Correctional Center, into an ICE detention center. The facility’s new role took shape after inmate deaths involving medical neglect came to light last year, prompting the federal Bureau of Prisons to cancel its contract with CoreCivic as part of a drive to minimize private prisons in its operations. That reliance conversely has grown under ICE, which commenced talks with CoreCivic to adopt Cibola soon after. Heralded as a job savior, the announcement of the new deal came without any mention from local officials about prior inmate deaths at Cibola. Following his run-in with agents, Navarro would be confined there for seven weeks. Navarro’s experiences, alongside hundreds of detainee transfer records obtained through a public records request, offer a rare glimpse into the expanding apparatus of detention and deportation. It is a system that increasingly is privatized, contracted out and chaotic – one in which immigrants are arrested, detained and sporadically transferred among facilities, where deportations can be ordered via videoconference by judges hundreds of miles away and carried out in the middle of the night. For CoreCivic, a single facility in the immigrant detention system represents big business. To date, the company has nine dedicated ICE centers and at least three other prisons under contract with U.S. Marshals Service where ICE detainees are held. Per contracts and billing documents obtained through New Mexico’s public records act, CoreCivic will be paid $150 million for detaining immigrants at Cibola over the course of a five-year arrangement with county officials and ICE that amounts to a no-bid contract with the federal government. Agreements between government entities – whether county, state or federal – do not entail the competitive open bid process required of private companies seeking government business. In this instance, however, Cibola County serves only as a pass-through payment mechanism for federal funds to flow from ICE to CoreCivic. In March, ICE began sending millions of dollars to Cibola County, which in turn forwards the money to CoreCivic, as spelled out in an “intergovernmental agreement” between ICE and the county and a subcontract between the county and CoreCivic. The deal allows Cibola County – where about 38 percent of households live on less than $25,000 a year, according to American Community Survey statistics – to retain a miniscule portion of the funds as an administrative fee. According to the subcontract and county treasurer, the county keeps 50 cents per detainee per day, while CoreCivic, a $3.7 billion company, receives a lump sum fixed payment of $2.5 million monthly, whether zero or 847 detainees are being held. (At 848, ICE pays $55.43 per additional detainee per day.) Documents obtained by Reveal from The Center for Investigative Reporting show daily counts ranging between 268 and 784 detainees over March, April and May. Neither the warden nor ICE responded to multiple requests for the current detainee population. 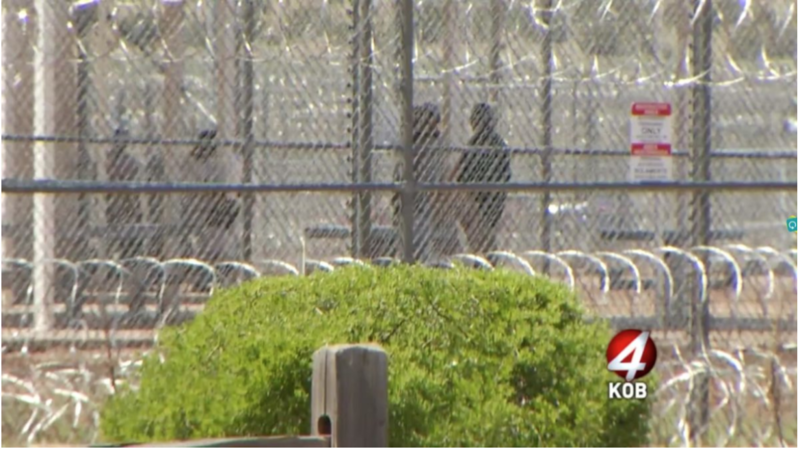 CoreCivic will be paid $150 million for detaining immigrants at the Cibola County Correctional Center over the course of a five-year arrangement with county officials and ICE. Photo Credit: Courtesy of KOB News 4. With the help of the New Mexico Immigrant Law Center, Navarro secured an unlikely reprieve. Granted release on a $7,500 bond as the case for his removal makes its way through immigration court, Navarro walked out of the detention center in late May. One of 278 “assets,” as they’re called on company documents, the night before his release, CoreCivic would go on to bill more than $5.3 million over the two months Navarro was locked up. Seven weeks after ICE agents arrested Navarro at the gas station near Albuquerque, drivers for CoreCivic dropped him off at another one near the prison. He started out again for Oklahoma via Greyhound, feeling thankful for the freedom, however fleeting, few of his peers secure. An examination of hundreds of documents from the beginning of January through mid-February 2017 shows that at least 185 immigrants were deported from the facility during that time. Immigration court has no corollary role of a public defender, and without appointed counsel to represent them, most people face removal proceedings alone. 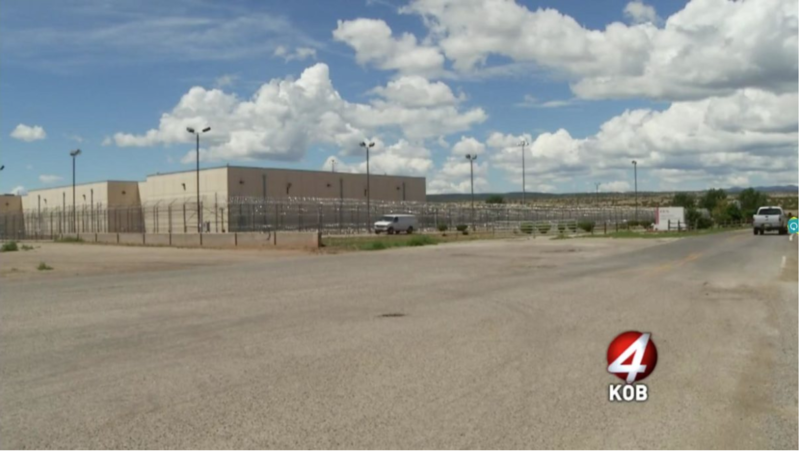 Others remain trapped in legal limbo, according to pro bono lawyers who visit the Cibola County Correctional Center regularly. Asylum seekers do not qualify to be released on bond, nor do detainees who don’t have legal residents to sponsor them. Navarro did have a sponsor, and his family was able to pay a bail fee that other immigrants typically cannot afford. Prospects are looking up for detainees, though, following an Oct. 2 ruling by the U.S. 9th Circuit Court of Appeals mandating affordable bonds. While the inmates’ fates are uncertain, profits for the corporation detaining them are secure – despite evidence that a series of questionable deaths previously occurred at Cibola, when it was a federal prison under CoreCivic’s watch. In early 2016, an investigative series on medical neglect in private federal prisons, published by The Nation, exposed three Cibola deaths in which reports by federal Bureau of Prisons monitors noted sustained neglect or deficient care. By July 2016, the bureau had canceled its contract with CoreCivic. Within three months, the new arrangement among Cibola County, ICE and CoreCivic was announced with scant opportunity for debate. Media reports show that county commissioners disclosed the deal just after they approved it – following closed-session discussions, according to the agenda and minutes. State officials also carried out a crucial role behind closed doors. New Mexico law required Attorney General Hector Balderas’ office, as well as the state’s finance and general services departments, to review and approve the agreement between Cibola County and CoreCivic. Asked whether detainee deaths were considered during the contract approval process, a spokesman for Balderas’ office said that a deputy attorney general handled the matter and that the office “routinely reviews contracts for legal sufficiency.” Not a single report, memo or email was created by the office in reviewing CoreCivic’s proposal to detain immigrants at Cibola, based on a public records request made by Reveal. In contrast, California Attorney General Xavier Becerra’s office recently began a review of immigrant detention conditions in public and private facilities across his state, where the widow of 52-year-old Gerardo Cruz-Sanchez is suing CoreCivic. Denied care at the company’s Otay Mesa ICE facility, Cruz-Sanchez – who had been granted release on a $1,500 cash bail deposit but couldn’t afford it – died of pneumonia, the complaint filed in March alleges. From March to May, three detainees at the Adelanto Detention Facility, operated by another private prison contractor, The GEO Group, died in ICE custody. ICE and CoreCivic representatives did not respond to requests to visit New Mexico’s Cibola facility or to multiple inquiries as to how ICE detainees there are ensured proper medical care. At CoreCivic’s nearby Torrance County Detention Facility in Estancia, New Mexico, 53-year-old inmate Anthony Mancini died from coronary artery disease in 2011 after being given cough syrup and Tums to treat his symptoms, alleged a wrongful death lawsuit settled Sept. 6. But that case is not what has landed the prison in the news recently. Describing the facility as “not profitable,” CoreCivic announced that it would close Torrance – barring new government contracts. The move prompted outcry from local officials who predict a severe economic impact if the facility shuts down fully as planned. Torrance inmates have been transferred to Cibola, CoreCivic CEO Hininger told investors on the company’s most recent quarterly earnings call. But cause for concern over the private vendors and government entities entrusted with detainee care there continues. After months of inquiries, county officials produced an amendment to their agreement with ICE, which cites plans to ensure adequate on-site health care. However, Correct Care Solutions, the for-profit vendor now providing Cibola’s medical care, has been named in two New Mexico lawsuits alleging medical neglect in detainee deaths at two county jails. And in July, a lawsuit was filed alleging that 50-year-old pretrial detainee Douglas Edmisten bled to death last year at a Cibola County-run jail over the course of seven hours, despite repeated pleas for medical treatment. Two weeks after the lawsuit’s filing, the jail’s closure was announced by the county manager, who cited unsustainable costs of operation, the Associated Press reported. Commissioners recently finalized a new contract to privately house county prisoners. The vendor? CoreCivic. In October 2016, CoreCivic landed a deal to repurpose the Cibola County Correctional Center in New Mexico as a detention center for U.S. Immigrations and Customs Enforcement. Photo Credit: Courtesy of KOB News 4. The immigrant detention profits made by CoreCivic in Cibola County are of a curious character – being reaped in a county that is more than one-third Hispanic or Latino and in a state where politicians have been largely critical of ramped-up immigration enforcement and removal initiatives, including the proposed border wall and threatened sanctions on sanctuary cities. In Albuquerque, New Mexico’s biggest city, the City Council passed a resolution in February to affirm the city’s “immigrant-friendly” status. A similar resolution at the county level was reaffirmed in August in the face of threats from the Department of Justice to withhold federal funding if local law enforcement doesn’t cooperate with federal immigration officials. Regardless of resolutions or degree of compliance with ICE, deportations take place from Albuquerque, often in the middle of the night, according to data obtained by Reveal through public records requests. And CoreCivic is paid an additional $97,638 per month for regular transports, including runs between the Cibola County ICE facility and the airport tarmac, five days a week. In every instance, ICE data indicates the person had no gang involvement. More than 88 percent of the immigrants, 302 people, had no criminal record beyond entering the country without authorization, sometimes repeatedly. The remaining 18 records list charges including DUI, traffic violations and possession of marijuana or cocaine. 284 detainees, including a pregnant 26-year-old with no criminal history, were deported to Guatemala. The other 58 were flown to Honduras. For then-Cibola County Manager Tony Boyd, who worked as a training and disciplinary hearing officer for CoreCivic from 1998 to 2003, the choice county leadership faced after the Bureau of Prisons backed out of its CoreCivic contract in the summer of 2016 was clear: economic ruin or the ICE agreement he guided to fruition. As a federal prison, the correctional center employed 300 people, Boyd said. The property also contributed $24,726 to the 2016 county budget via property taxes, public records show. “The economic consequences of the closure would have extended far beyond those 300 residents, and would have negatively impacted our schools, our stores, and our community at large,” Boyd wrote in an emailed statement. He alluded to the concurrent layoffs of 65 people at Peabody Energy Corp.’s local coal mines, which employ residents of both Cibola and neighboring McKinley County. “Certainly the county needs to grow and diversify,” Boyd wrote. But that prospect would have been “significantly curtailed” if hundreds of families lost their income, he said. The future for many Cibola County residents is indeed precarious. More than 15 percent of the county’s 11,361-strong civilian labor force was unemployed between 2011 and 2015, based on estimates compiled by the American Community Survey. Boyd said his prior work for CoreCivic had no impact on the deals he finalized with the corporation and the federal government. Regardless, in Cibola County and the broader state of New Mexico, the company’s influence is ubiquitous. Just a few miles away from the immigrant detention center in Cibola is another CoreCivic prison, the 596-bed Northwest New Mexico Correctional Center. Under its contract with the New Mexico Corrections Department, CoreCivic gets $68.20 per prisoner per day for the first 322 inmates. The prison contributed $44,301 in property taxes to Cibola County in 2016. Even though Diego Navarro is out on bail, the threat of deportation looms as his case winds its way through immigration court. “I would like to stay here, but I don’t know what’s going to happen.” Photo Credit: Shane Bevel for Reveal. 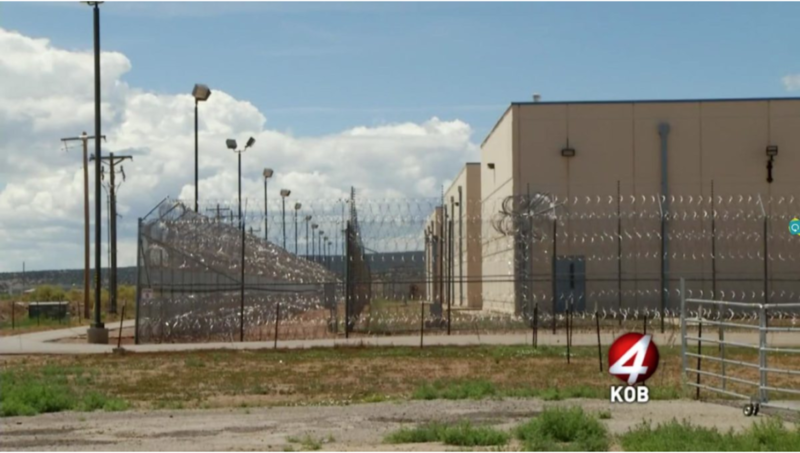 New Mexico is more reliant on private prisons than any other state. In 2015, according to the Bureau of Justice Statistics, 42 percent of its state prisoners were held in private prisons. The national figure is 8 percent. “There’s something very specific to the political culture in New Mexico, to this partnership between government and for-profit prisons, to the relationship to privatization in that state,” said Nicole Porter, advocacy director for The Sentencing Project, a Washington, D.C.-based nonprofit think tank dedicated to criminal justice reform. Heinrich “does not support the private prison industry, but also doesn’t leave local communities behind, … to (help) preserve important jobs,” a spokesman wrote when asked about the senator’s involvement in keeping the Cibola facility open. No other lawmakers responded to requests for comment. In her work, Porter has analyzed prison closures in 22 states, recently focusing on places where innovative economic development projects filled the void created by prison layoffs. Projects underway include a New York prison repurposed as a movie studio, which is expected to create 800 jobs over two years; a prison re-envisioned as a homeless shelter in North Carolina; and a former work camp in Illinois due to become an agricultural development center, which is expected to generate an estimated $124 million in new farm income. Diego Navarro, for his part, said he wants to forge ahead with his life back home in Oklahoma, now that he’s out on bond and reunited with his girlfriend and family. But the threat of his deportation back to Mexico looms as his case winds its way through immigration court. In the meantime, Navarro hopes that for the people of Cibola County, the immigrants whose detention earns the county 50 cents per person per day will not be out of mind, even if they are out of sight. Cynthia Lopez worked as interpreter on this story, which is a collaboration with theCriminal Justice Project. It was edited by Mark Horvit, Ziva Branstetter and Amy Pyle and copy edited by Nadia Wynter and Nikki Frick. Sarah Macaraeg can be reached at sarahm@thecjproject.org. Follow her on Twitter:@SeraMak.